R-Line Company was founded in Cracow in 2002. 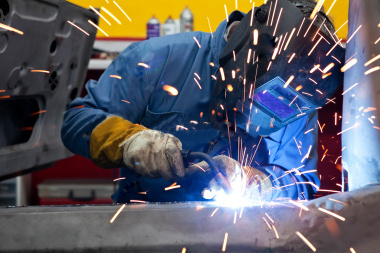 As a representative of the Swedish company ELGA we supplied welding materials for a wide range of clients. The origins of the company was a constatnt process of gaining experiences and studying the market needs. After one year, we distinguished the main direction, to support companies in supplying of stainless steel, cored wire, low and high alloyed metals, solid wire, aluminum alloys, coppered and non coppered wires. Each month, R-Line Company become stronger, and its position on the welding market has grown steadily. After a period of six years of the company's existence, we managed to operatate on the market succesfully and we signed business agreements with major manufacturers of welding consumables from around the world. Thanks to the enormous commitment of our suppliers and professionalism of the working team our Company become a leader in the services and als provider of the highest quality products. To meet the market requirements and provide comprehensive services to our customers, we continue to expand our business areas with new products and solutions. That is why we are able to fullfil the reqiurements of the most demanding customers, offering the advisory and delivery of specialized welding materials, tools needed in a process of the highest quality. Copyright © 2008-2011 R-line - Wszelkie prawa zastrzeżone.